Being in Paris, one of the most beautiful cities of the world, is already an amazing thing. An extra plus is that if you want to change scenery for a few days and need some moments in the sun with the sea as your view, you just catch one of the high speed trains and within 3 hours you are in the South of France. One of my favorite spots as a get away weekend, is Marseille. The second biggest city of France with a beautiful old port and view of the sea. An old classic though modern city, a dirty city but magical at the same time. Next weekend (5 & 6 sept) I have the perfect reason for you to check out this magical city. 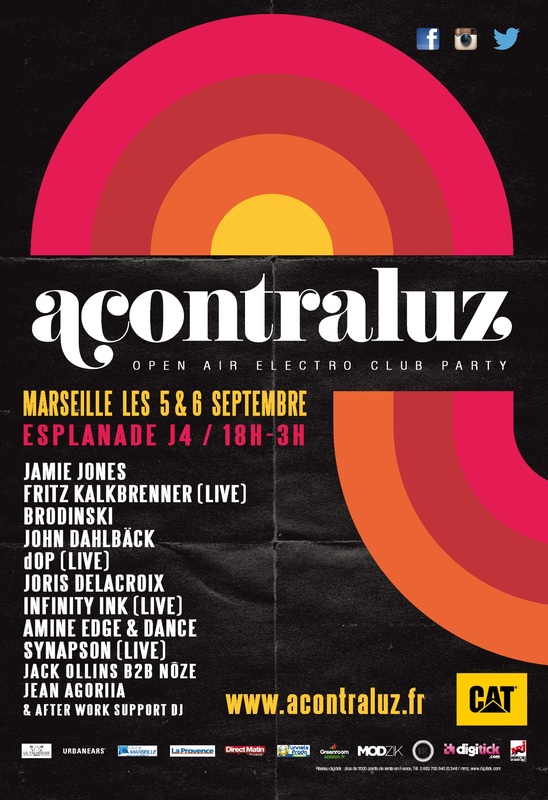 For the first time there will be an new electronic festival named Acontraluz, held at the foot of Museum Mucem. 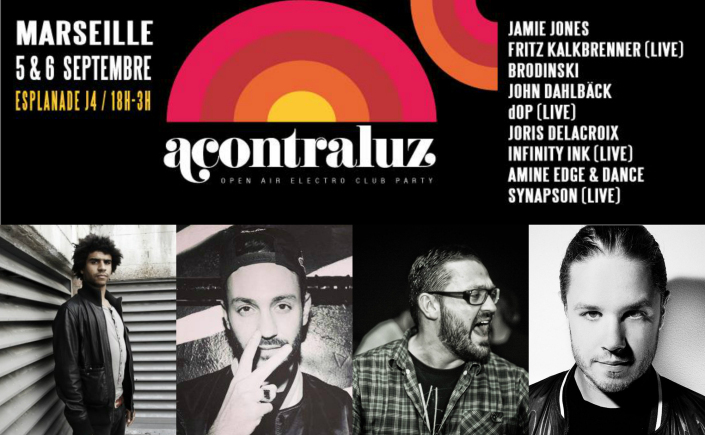 The line-up is amazing with not to be missed artists as Brodinski, dOP, Synapson, Fritz Kalkbrenner, Jamie Jones… So imagine yourself in September, summer breeze, view of the sea and dancing two days from 18h-3h. Sounds like a perfect weekend to me! And while you there check out the amazing museum Mucem which will be open that Friday till 22h. Or have a beach moment, shopping moment and eat lots of ice cream at he best ice cream spot of Marseille: Le Glacier du Roi! And for places to stay, you cant’t go wrong with Mama Shelter.